SEO Valley helps companies expand and grow their platforms. This agency has been a highly-acclaimed agency for almost 20 years. 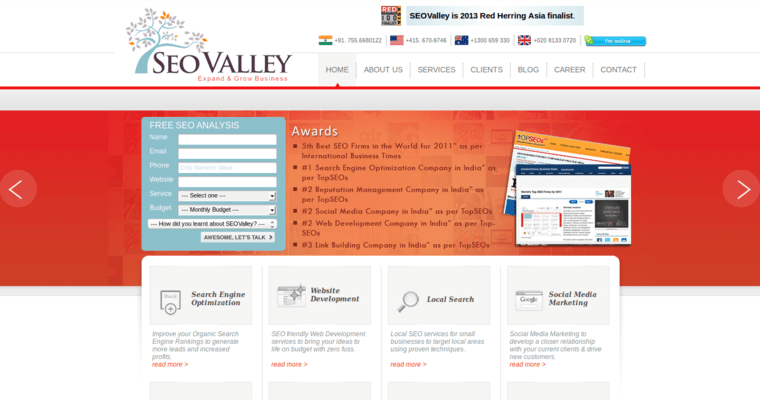 Located in India (Bhopal), SEO Valley provides services including SEO, paid marketing, link acquisition, social marketing, Local SEO, ecommerce SEO, programming and content marketing. This agency has provided digital marketing services for over 5,000 clients. Achievements include increased search engine ranking and website traffic. SEO Valley is a full-service SEO agency that offers personalized service and a global presence. Clients include Online Wearable, Cribsters, Filmoria and Fingyan. Clients choose SEO Valley because the agency offers proven results such as increased conversion rates and market-cost reduction.